Brooks and I had a little talk about the interesting places we have been while being a photographer. Sometimes we get to have some cool experiences that others don't. Here are a couple places I've been that the average Joe/Jane doesnt get to see. unless they work there! Recently I did a shoot at the Port of Miami where we could pretty much do what we needed and go where ever as long as we didn;t get run over by a truck or squished by a cargo container. And once a about 15 years ago I did a shot from the roof of the "Renaissance Center" aka GM HQ in Detroit, 727 feet up with a 6 inch tall "railing", well actually some thing they hook stuff to. And no adult supervision! Anybody else have fun or exotic or dangerous location stories? 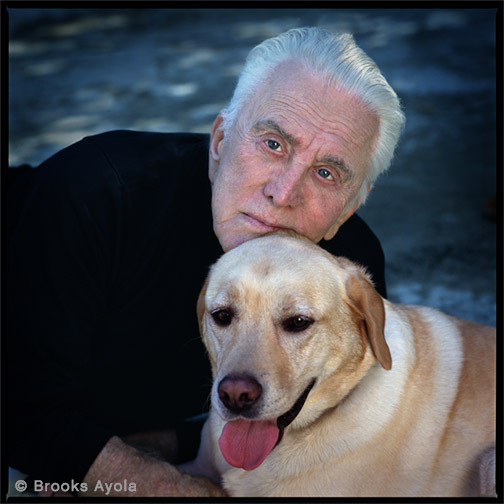 I shot this portrait of Kirk Douglas in his backyard in Beverly Hills. That was cool enough, but on the side of his house he has a mini "Chinese Theater" where his close friends had signed and pressed their hand and foot prints into cement. It had Frank Sinatra, and all the other old timers you would expect. I wish I would have taken a picture of it. Wow.. That's an awesome one, Richard! Reminds me of when I was an assistant and shot underground when they were building the Metrolink here in L.A.
..now I'm not afraid of high places, big dogs or red-headed women but a 1000 yard tunnel would freak me out a little bit. Not afraid of heights Mike ? Hmm, let me introduce you to my friend Billi. I get to ride him up to the top of this cluster of steel. Notice him out there at the top left. You just hang on to Billi, nothing keeping you there but your grip. Gets interesting when the crane swings around after your ride 10 stories up from the ocean and the wind happens to blow at the same time. It's a thrill every time. Once I'm on the rig it's just another shoot. 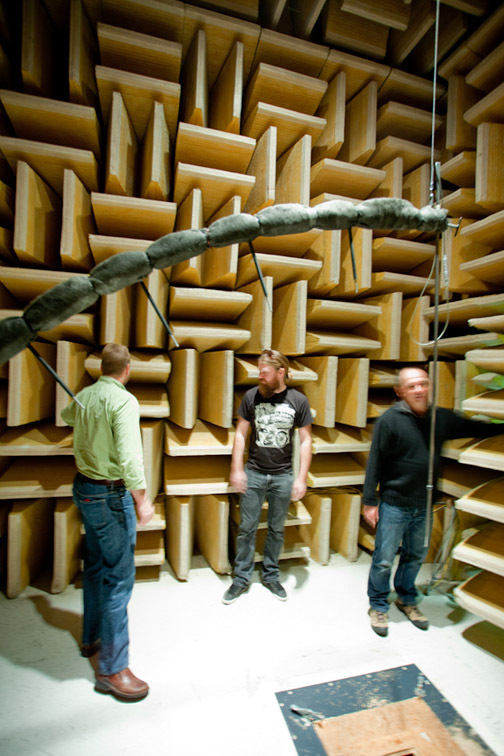 But yeah, it's a pretty interesting place I'd never have known in another profession. now that looks like fun....! Think of it as a long, doorless hall that slopes down about 5 degrees. I've been to rwanda, buenos Aires, and france for travel gigs. Locally I've been on the roofs of lots of building in chicago, super fund clean up sites, operating rooms, labs, oh and mohamed ali's house. I went to Havana a few years ago for a magazine story. I'd like to go back before Raul/Fidel kick the bucket and it becomes Starbuck, Hard Rock Cafe and Verizonized. I get to go to a frozen lake in Wisconsin this week. Several years ago I went to Petropavlovsk-Kamchatsky, on the far east coast of Russia, for a shoot. We flew off in a helicopter that was about twice my age, while seeing the wreckages of crashed helicopters lying all over the "airport"
Photography is a passion for many people and many photography loves to go for a photography in a different places.Nature photography is a very popular and interesting in which many photographer are interested.